Just What Is a Condo? 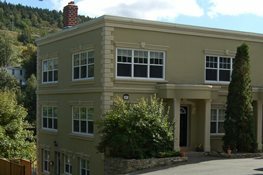 Condominiums are a broad category of housing structures. A condo may resemble an apartment. It may also be a bungalow, multi-level, or semi-detached home. It is one in a group of housing units--part of a building or complex--and may not share walls. Each homeowner owns their interior independently and all share ownership of the common areas and land. Condo owners essentially own a percentage of the entire development. Outside maintenance is usually covered by fees from all the homeowners. Thus, individuals may need only deal with the maintenance and upkeep of their "four walls". How Does a Condominium Work? Condominium corporations are run by a board of directors, elected from the condo owners. They have monthly meetings, annual general meetings and must produce annual statements. The board manages operations and financial viability. Condo Bi-Laws. There is a set of regulations that residents must live by. These bi-laws are put in place by the board and can vary from complex to complex. Bi-laws dictate everything, from how the board is structured to how many pets someone can have, whether clotheslines are permitted and if the properties can be leased out. It can be said that condominium complexes have personalities, and that those personalities can vary. While one condominium corporation may not suit you at all, another may suit you perfectly! 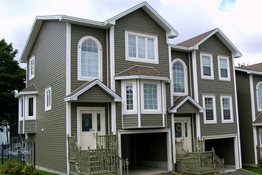 A piece of consumer-protection legislation, the Condominium Act was revamped by the Government of Newfoundland and Labrador in 2011. Under it, developers and condo corporations must adhere to specific rules. Reserve Funds. An important addition to the Act is in regard to reserve funds. A reserve fund is built by the condo corporation through condo owner fees. The health of the reserve fund is very important to condo owners. Well-managed corporations would already have these funds in place to budget for future work and renovations on the complex but now, under the Act, reserve funds are mandatory. Each condo corporation was given two years from the date of the Act to hire a professional company, usually an engineering firm, to examine the physical health of the complex and determine future replacement costs and the appropriate size of the fund. Research is key when deciding whether to buy a condo. Get to know the condo corporation. Understand what you are buying into. Examine the declaration, bi-laws and minutes of the latest condominium corporation's annual general meeting. Also examine the minutes of the latest monthly meeting. This will give you a sense of the health and issues of the condo complex. Hire a lawyer experienced with condominiums and the 10 day cooling off period to assist you in reviewing documents. Don't assume a lower monthly condo fee is an automatic bargain. Is it enough to ensure the reserve fund is in a healthy state to cover future repairs? A higher fee may indicate a realistic look to the costs of repairs. Sometimes a slightly higher monthly fee is the better long-term investment. It pays to look closely. Has the reserve study been completed? Most condo corporations have had this study completed, but it is possible some have not yet. It's good to find out. Check if the complex is professionally managed. Some corporations hire professional property management companies to ensure the smooth running and maintenance of the property. The Pros and Cons of Condominium Ownership on the Canada Mortgage and Housing Corporation website. Additional Information of Condominium Purchasing from the Canada Mortgage and Housing Corporation.